Reza Morodi gives a high five during a pick-up game of soccer. Morodi, 19, is in Salt Lake's Unaccompanied Refugee Minor program, which helps teens fleeing war, persecution and violence. Julianna Potter, the program manager, welcomed the teens, their foster families and case managers, noting it was the 10th anniversary of the program. Families gather to celebrate Catholic Community Service's annual graduation party for refugee high schoolers. “I’m just really thankful for who you are and that you are a part of our lives,” she said. The Unaccompanied Refugee Minor program, or URM, was created in the 1980s in the aftermath of the Vietnam War and other regional conflicts to help care for thousands of refugee children from Southeast Asia. It’s housed under the federal Department of Health and Human Services’ Office of Refugee Resettlement. Catholic Community Services restarted its own program a decade ago and is one of just 21 agencies in the country licensed to care for these children. The program has resurfaced in the news lately with the Trump administration’s harder line on refugees and immigration. Most of the children who enter Salt Lake’s program are teenagers. Most already have refugee status. All were separated from family long before they came here as these are not children who’ve been forcibly separated from their parents at the U.S.-Mexico border. Some come from Central America. 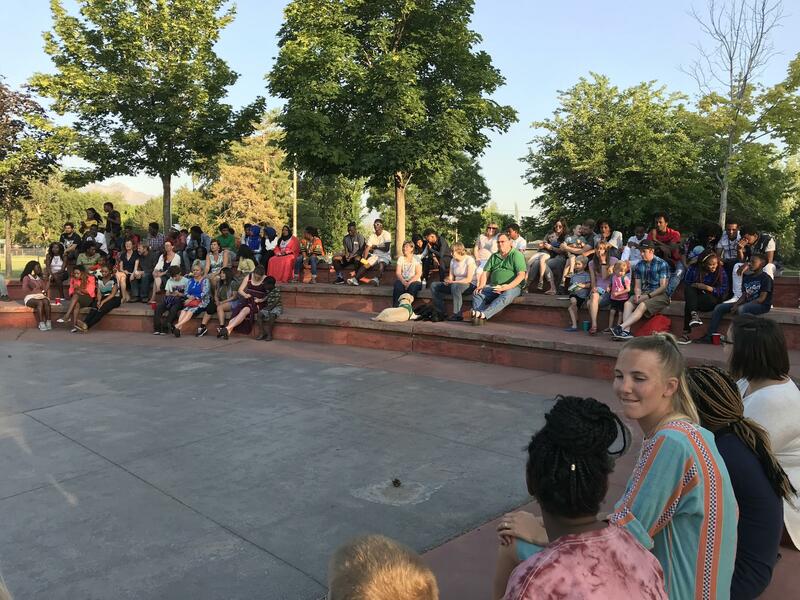 Most are from countries like the Democratic Republic of Congo, Myanmar and Afghanistan, including recent graduate Reza Morodi, who was celebrating at Jordan Park. Morodi was taken from his family in Kabul at 12 and smuggled into Iran by a man he referred to as a “gangster.” He eventually ran away. Unable to reconnect with his family, he traveled alone to India, then Malaysia, where he worked as a child laborer. "I did construction, I did restaurant,” he said. “I couldn’t stay [in the] same place for a long time. I had to change my work because the immigration [officials], if they come over there, I didn’t have any documents." 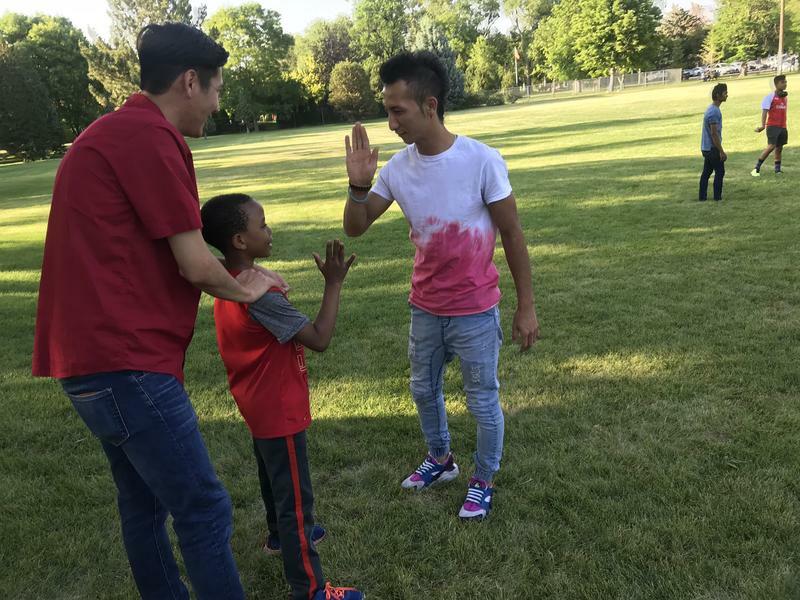 It took Morodi, then 17, nearly two years before he was finally accepted into the refugee program and placed with Catholic Community Services in Salt Lake. Now 19, he’s learned English, earned a diploma and even attended prom. In that time, Morodi’s whole life has changed. Morodi has legal status now and is eligible for a green card. It was a difficult process, he said, but at least there was a pathway for teens like him. That’s not the case for all foster kids in the program. In addition to refugees like Reza, who applied for protection while overseas, Catholic Community Services also takes those seeking protection while on U.S. soil, including asylees, some immigrant children and victims of trafficking. These cases prove to be more challenging, especially in light of changes made by the Trump administration to longstanding immigration policies. Elber Reyes from Guatemala graduated from the CCS foster care program a few years ago. He has a green card and works as a truck driver, but worries for others in his home country. 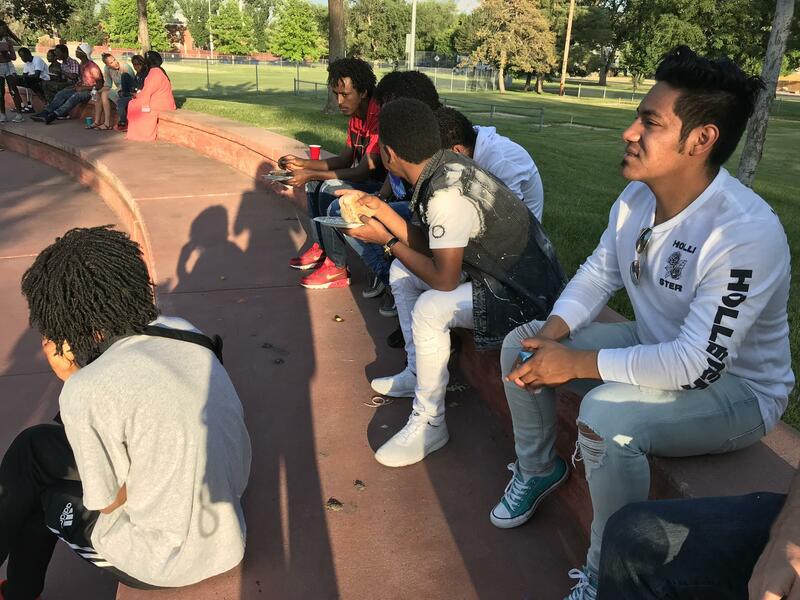 Elber Reyes, who was born in Guatemala, graduated from the program a few years ago, but attended the Jordan Park party this month to celebrate its anniversary. “I crossed the border in McAllen, Texas. ...Then I got caught by Border Patrol, and then I stayed in Texas for close to two years,” he said. Fleeing his abusive parents, Reyes said he was 11 when he went to live with an uncle. But that relative, who was an alcoholic, also abused him. By age 16, he realized he wanted a better future. In 2010, he traveled through Mexico to the U.S. border, where he was caught trying to sneak into the country. He says he spent more than a year in a group home in Texas before finally getting accepted into foster care. Now 24, he has a green card and drives a truck for a living. He’s enrolled at Salt Lake Community College taking general elective classes. He also stays in touch with his foster mom, whom he says gave him the stability he never had as a kid. Morodi and Reyes’ stories reflect the diversity of cases Catholic Community Services takes on. They can accommodate 105 children in their program, but currently only have 90. Julianna Potter said there’s two big reasons for that. 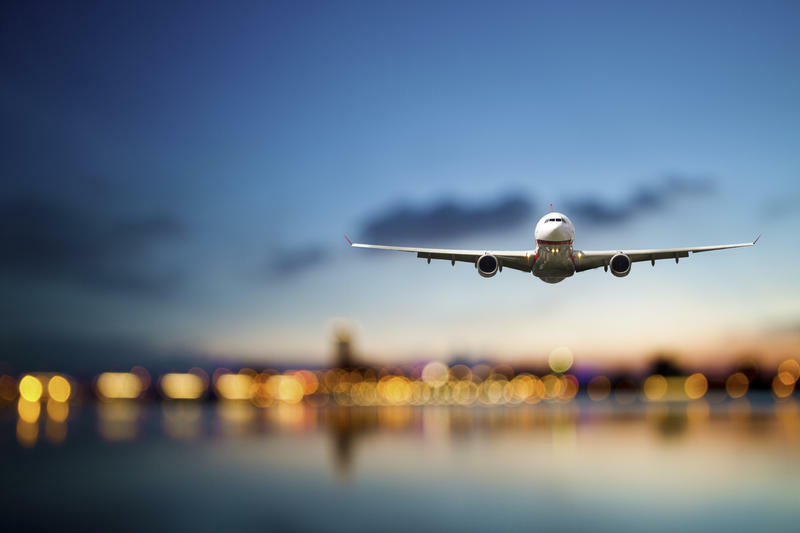 The first is the Trump administration’s travel ban and changes to the vetting process, which has kept many cases in limbo and forced others to restart the application process all over again. The second reason has to do with resources. Catholic Community Services' budget of about $2.7 million has remained the same for years. As Catholic Community Service's lone full-time immigration attorney, Alyssa Williams works closely with teens who aren’t legal immigrants. She helps them navigate the U.S.’s complicated immigration court system. “All of those children that are apprehended at the border without exception are put into deportation proceedings,” she explained. That means Williams essentially has two cases to make: one to stop deportation, the other to get the child some sort of legal status. Right now she’s defending three asylum cases, two of which are from Central America. She declined to discuss them, citing privacy and safety concerns. Complicating matters, she said, is a recent policy change by Attorney General Jeff Sessions that has accelerated the pace of asylum cases, spurring judges to speed up hearings. Catholic Community Services is celebrating the 10th anniversary of its refugee foster care program, even as it faces threats from Trump's hardline immigration policies. Another worry is that with the current political climate the Trump administration could push to defund the Office of Refugee Resettlement altogether. “And that is a big concern at the moment across the nation, in this system, is that if ORR continues to be under attack — especially financially — you lose your money, you lose your ability to keep some of these places open,” she said. 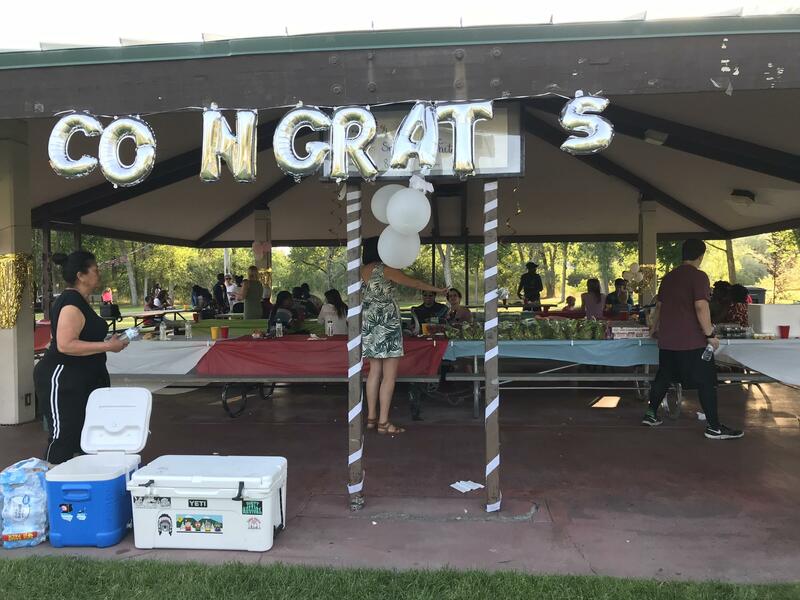 At the graduation party in Jordan Park, burgers sizzled on the grill as the graduates snapped selfies and talked about their future plans. Elber Reyes from Guatemala said he’s been disturbed by all the news about asylum seekers being detained or turned away at the southern border. "For me, it's really sad because I know other people who came here running from violence and other stuff. I just feel sad about it," said Reyes. He said he wishes more people would understand why people from other countries flee their homes. As for Morodi, he still has flashbacks to his former life. He left behind a brother and sister in Afghanistan and often wonders what happened to them — as well as his parents. For now, he plans to apply to Utah Valley University and wants to learn how to be a car mechanic. He said he’s happy here and plans to build a better life for himself than the one he left behind. And Utah, worlds away from the life he knew, feels like a second home. A group of lawyers in Utah say some Justice Department policies often confuse and entrap refugees who don’t know their rights. 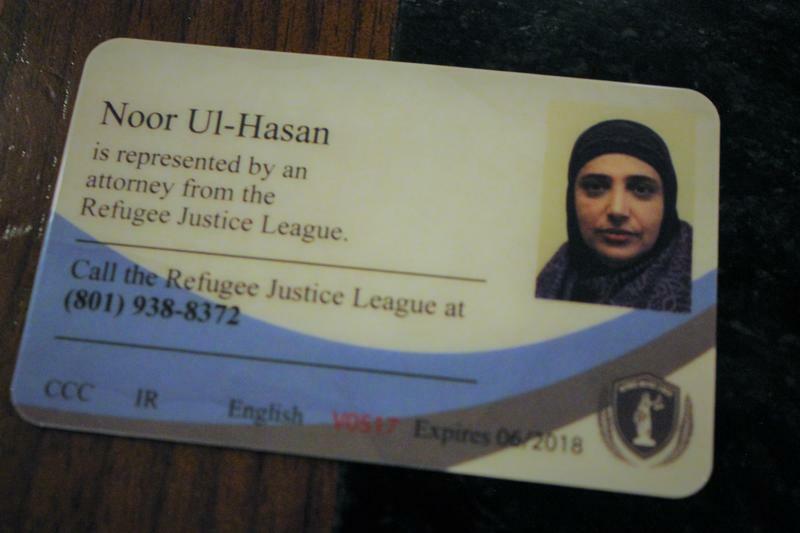 On Tuesday, Refugee Justice League introduced what the group is calling a Refugee Rights Card. It’s designed to help refugees when they’re approached by law enforcement. 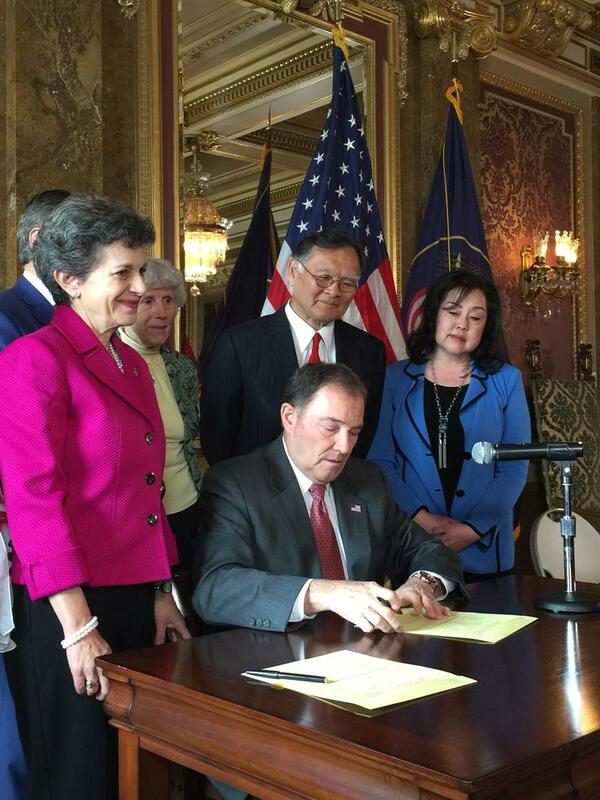 Utah Governor Gary Herbert signed a resolution Monday that reaffirms state leader’s resolve to guard the civil liberties and freedoms of all Americans, including legal immigrants and refugees.